Five-year-old Sobia Shafeeq was playing in the courtyard of her house in the Bandi Chechin area of Shahpur sector of Poonch district when a shell fired from Pakistan side landed in the neighbourhood on Monday. Sobia had just walked into the courtyard when the explosion took place, killing her instantly. "The firing started at 7.30 am, but stopped after 15 minutes. Then it resumed at 11.30 am and went on non-stop for at least three hours. The five-year-old girl was killed on the spot," said Muntazar Kanjwal, a resident of Shahpur, over the phone from Poonch hospital. 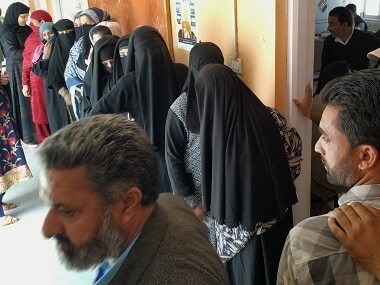 Paramedics said that there was chaos at the hospital after the injured people were brought for treatment. According to reports, 14 people were injured in the cross-border shelling on Monday. 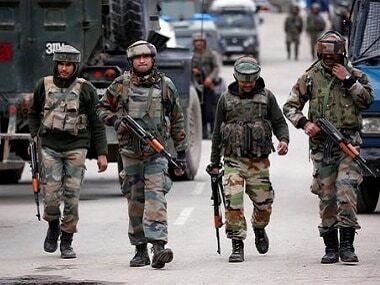 "Five BSF jawans were among the 14 injured in the shelling," said Ramesh Kumar Agarwal, SS Poonch, adding, “The firing continued for some time,” he added. The killing of the five-year-old is a grave reminder of the horrors being faced by residents living along the Line of Control (LoC) in Jammu and Kashmir, even though the talk of war seems to have subsided in television studios for now. 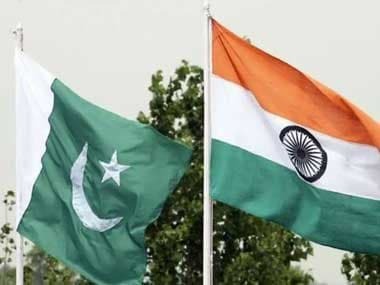 Ceasefire violations have witnessed a spurt after India’s air strike on the Jaish-e-Mohammad (JeM) training camp in Balakot in Khyber Pakhtunkhwa province on 26 February in a "pre-emptive" action following the militant group’s suicide bombing in Pulwama on 14 February in which 49 CRPF personnel were killed. On Sunday and Monday, after some days of relative calm, troops from India and Pakistan pounded each other’s locations along the LoC in Jammu and Kashmir. It is a scene which often repeats itself these days, forcing residents into cave-like bunkers, while many others migrate to plains. A BSF sub-inspector, who was also injured in the shelling from across the border, succumbed to injuries while the condition of four other is said to be stable. They were posted near a shrine of Sian Mira Ziarat in Shahur area, which was also partially damaged. An army man guarding a forward post in Mankote was also injured. According to officials, nine civilians were also injured in the cross-border shelling. Residents described a chaotic scene followed the early morning firing as shells began landing on the stretch of villages in Shahpur and other adjoining areas. 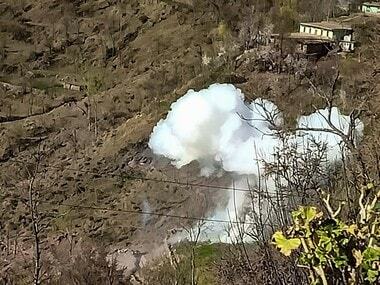 A police official said that the Pakistani Army opened fire and attacked several Indian Army posts in Kerni and Krishan Ghati sectors Monday afternoon. The officer said that cross-border shelling later also erupted at Mankote, Gulpur and Degwar sectors of Poonch district. Last year, according to official data, more than double the number of ceasefire violations were reported along the Line of Control as compared to the previous year. The Indian Army recorded 1,599 cases of ceasefire violations along the Line of Control and lost 20 personnel in 2018, the government said in the Lok Sabha recently. With Pakistani soldiers targeting security forces, at least 2,140 ceasefire violations were reported in 2018, up from 971 in 2017 and 449 in 2016, according to official data. The loss of life along the LoC was highest in a decade with 30 civilian casualties and 29 casualties among security personnel. "We are not dying. That doesn’t mean we are leading a peaceful life either. We are living in constant fear of death. I am afraid, someday a bomb will land on my house and kill me and my family," he added.